Major Matt Mason- Mattel’s Man in Space: Do you want a comeback? It appears that the story does not end there! Mattel contacted me today (along with a few other sites, I believe) to ask for links to any posts and discussions happening about the Major Matt Mason toy line and display at SDCC. In my last story, I told you that Scott Neitlich told me they were curious to see if having this display was going to spark any conversation and demand for the brand. It appears Mattel is now looking for just this. So, I’m leaving it to you to tell Mattel: Are you interested in seeing the return of Major Matt Mason? Matt Mason is one of Mattel’s classic toy lines, and I for one would love to see it return in some fashion. But how would be the preferred method? Do you want reissues of the vintage line? Do you want updated action figures of the classic characters, perhaps in a Major Matt Mason Classics line? Would you want them in 6″ scale? Or perhaps in a 3.75″ scale to be compatible with the Four Horsemen’s Outer Space Men line? I want to know what you think! Post in the comment section below! And keep in mind: Mattel is watching this space! So what you post here will go directly to the guys who could potentially be bringing Mattel’s Man in Space back! Yes, I would love to see Major Matt Mason return! but read about him in books and on the internet. although a Classics line might also be a good choice. This is a classic and benchmark brand that has been in dire need of a resurgence for decades now!! The Horsemen have done such a brilliant (and cost effective) job with the Outer Space Men line that it would only be a natural for Mattel to tap them and their design for MMM! I was talking to Corn Boy at Comic-Con about this very possibility– the two brands running side-by-side and being fully compatible– just like they were in the 60's! And besides, it would be amazing to see some "classic" space toys out there again. Astronauts; those great dome helmets; exploration… Not sci-fi, far-future, shoot-em-up stuff– but bringing back the wonder of humankind venturing out into space for knowledge and adventure! God, I miss that kinda stuff!! I agree with everything said above. I got my Major Matt Mason toys handed down to me from my uncle when I was pretty young. I took Matt everywhere with me and apart from the Micronauts, MMM was my go-to toy line until Star Wars came out. I absolutely adorned this stuff and the sense of wonder and exploration it inspired. Definitely bring MMM back. But you have to do it with the vehicles. Then I'd be on board. Yes, bring it back, and bring it back in-scale with the OSM line that the Horsemen are doing. Bring him back but original size and with new characters please! A female astronaut and more aliens! And an actual ship that flies! And a new planet surface…. YES, that would be VERY cool!! Bring it on!!! I think bringing this back and making it compatible in scale with the Outer Space Men would be pretty great. I’d be interested in these if they were 6″ figures with accessories that were compatible/interchangeable with MOTUC figures. I would not purchase this line because I have my hands full with MOTUC. I think it is a cool line with some really great activity based vehicles that encourage "play" be it rolling along the ground or throwing a capsule up the air to have it parachute down. There s also heavy parts reuse between the astronauts which is great. Being a complimentary size to the 4H's Outer Spacer Men would really be essential to open the doors into tapping into an existing customer base. This would more easily happe the vehicles and playsets could be intergrated seemlessly with the OSM figures, because it could also enhance a collector's display. Plus, Mattel would not have to create a female character because the OSM have a female astronaut on the way. However, they could totally make their own if they wanted to. Sweet Jeebus, I need to proofread my comments! Absolutely. I was not born early enough to be a part of the Major Matt Mason generation, but I was fortunate to have an older brother who was. Inhereting all those wonderful toys from him made my childhood play alot more adventurous. The return of MMM is far overdue and I am estatic that Mattel is finally becoming warmer to the idea. While a smaller line compatible with The Outer Space Men revamp from The Four Horsemen would be fantastic and welcomed, I have to lean toward a MOTU Classics scaled Classic MMM line. The full team of astronauts, the aliens, oversized Cpt. Laser, bring it all. The only drawback is Mattel's reluctance to fully embrace vehicles for their modern collectors lines, because the Major is all about the vehicles. Still my wallet is waiting, let's hope Mattel makes the return of a great line from many decades past a reality. Most certainly. I had the good Major as a kid and have an original Matt and all of the Japanese Leadworks figures from a few years back. Getting a reissued Matt along with the rest of his crew would be great! If they recreated many of the play-sets I'll be ecstatic. Not only would I buy them for me but for most of the kids I know. It would be FANTASTIC if Mattel re-introduced the Matt Mason line in it's original format!!! I'd love to see it if they keep it VINTAGE in design and not some new musclebound stupid stuff. YES YES YES!!!! Please bring him back! Nope – no interest unless they do something with the line in 12" then we can talk. Yes. This is a no-brainer for Mattel, as four of the major characters used the same body in different colors. I would prefer to see two releases: a "classic series" that would be in scale with the originals and a new series using modern tooling and articulation. Oh, and P.S. wolfsfang Major Matt Mason was indeed released in Great Britain and Europe. I had childhood friends who spent a year in the UK and brought home lots of Mattel toys stamped with "ROSEBUD MATTEL MADE IN ENGLAND." I'd like to see an updated action figures of the classic characters in a 3.75″ scale. The smaller size means cheaper vehicles and playsets, plus less room needed to display them. Yes, bring the line back! But do it in the size and style of the originals! I would have no interest in it if it was redone with solid plastic bodies or in the 3 3/4" scale. The change from the classic format is exactly why I haven't bought any of the OSM figures. If Mattel brought back a true Matt mason figure, then perhaps the Four Horsemen would finally do a proper 6" set of Outer Space Men figures as well. I'd be up for both reissues of the original figures, accessories, and playsets, as well as an expansion of the line to include new figures and accessories done in a vintage style. Maybe we could finally get Or and his Orbitor! Yes, please bring back MMM & the whole crew! Just like they were…that would be amazing. Oh yeah… And style him to have the awesome vintage feel! A vintage astronaut and alien line, how awesome! they were in the UK – I had some of the bits – though not one of the dolls. I'd also like to see the Zeroids back, as when I got my Matt Stuff I got two of them instead of the dolls. I remember them quite well together. I have no Idea who would hold the rights now, though. I suppose since Tyco merged with Mattel, the Ideal line should rest with them, but it is probably more complex than that. Gotta agree about the Zeroids! Another great toy of that era that we'd all like see reissued!! skipping the 3 3/4 size. Thanks again. i hope the good major makes a comback, BUT not in the scale of the 4 horsemen colorform aliens. if mattel did that, the line would die off in a day. bring it back as close to the original and it would fly off the shelf. all of us old farts would buy them up…. Heres the thing, I had know idea these guys existed until Marlena's bio came out and then I hunted through to get more info on them. I definitely like a MOTUC release to go with Space Marlena, only feels right. However I think the should do the proper release in scalewith the Horseman's Outer Space men and make them compatible. Also I'd really like them to keep the retro style packaging, that stuff is gorgeous (Sorry design geek head on) and needs to be echo. Plus more space monsters of a larger size!!!! I would like to see the line reissued as-is, and a companion line of compatible but modern figures with standard articulation that doesn't have wires that break. Yes! Bring the Major back!!! I'd like to see him in the classic size, with remakes of the original staff and vehicles….then update him with a more diverse staff and modern equipment – – maybe a Mars mission with space ship and vehicles? How insanely cool would that be?????? Sign me up right now. I think MMM was a great product line when it was released and could be another great product now. Today's kids, and to be honest, even today's parents aren't schooled on who MMM is, so getting a good retail product out there might be a tough sell. Kids of today seem to need to be told the story, or shown it as in a movie or cartoon series or whatever so if it could be tied in with something such as that it would help as a retail product. If it's going to be targeted for collectors, then just open the floodgates. Do not release these as smaller molded plastic characters and expect the collectors to line up. Making them similar to the originals with some variety, and cool accessories and you'll have a great line! The 4" scale could really open the possibilities of vehicles and play sets. Just don't make boring figures with only 5 points of articulations. 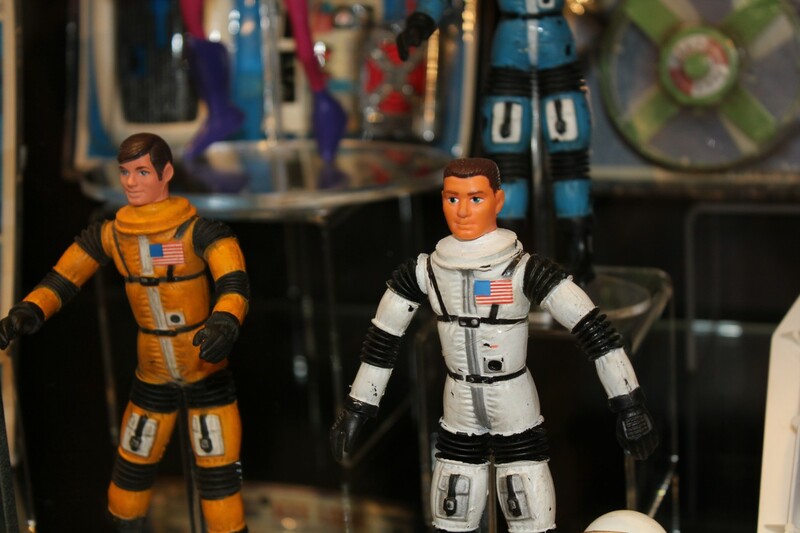 Bring back Mr. Mason and the gang…great toys and they will introduce new generations of kids to the wonder and imagination of space travel! I would love to see it come back. Have re-collected a lot of the original toys, and there are some higher priced items which are harder to find, or lay hands to AND would be a great tie in with the Tom Hanks Playtone project to bring to the big screen which was indevelopment. Believe it or not, MMM is a bit before my time! But I think they should bring back this toyline just so Barbie can have more variety in the men she dates! Actually I think he would be important to stir up some young child’s imagination so he can become an astronaut. We need NASA back and the Major can do it! I have always been a big fan of the toy line since it's very beginning and have a collection of vintage Matt Mason figures and accessories to this very day. To see some sort of a re-issue of this great classic toy line would be very exciting. Maybe it could start with a re-issue of the original figures as commemorative collectibles, then graduate into something that would be of interest to younger generations. I would love to see Mason revived but not 100% convinced it was succeed as a "re-issue" given that I don't think today's generation has any interest in space exploration, particularly with the realties of the shuttle and space station programs: We know what these guys (and gals!) REALLY look like as well as how they actually live; Mason didn't particularly resemble the what the space program eventually turned into. There have been a couple of comments here regarding the film. Anyone know if that's still a viable project? That would obviously have a toy line connected with it. Thinking that if Mattel is vetting interest in the line itself, then possibly the film has gone into "turn-around" (Hollywood parlance for effectively dead). I have an enormous affection for the original MAJOR MATT MASON line, and would enthusiastically support a relaunch by Mattel. I will say this–the CLOSER said possible relaunch would be in size and appearance to the vintage line, the MORE/BETTER I would support it (by purchasing multiple figures, accessories, vehicle sets, etc.). The further it deviates from its vintage appearance, the less interested I'd be. I have been a supporter of Round 2's Captain Action relaunch, and The Four Horsemen's Outer Space Men line (even though I was somewhat disappointed that the latter were modified from their original versions and reduced in size). Thank you to Mattel for considering this, and I would VERY much enjoy seeing this happen. Yes, please!!!! I was born in 1959 at the very dawn of the space age. Major Matt Mason was there to help pave the way for myself and kids of the 1960s with the U.S. manned space program. Major Matt's cultural and historical impact is signifigant and lasting. The brand is not to be underestimated. Reissues of the classic toy line (figures & vehicles), plus new items and the addition of alternate scales would be very, very attractive. I'd be in for all of it! I'm employed at a museum. 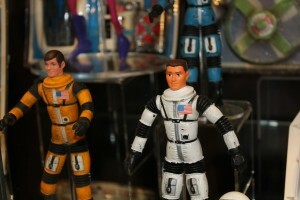 A few years back we did an exhibit with some 1960s space related toys to tie in with an IMAX film that we were showing. I loaned Major Matt items from my personal collection for display. The kids went nuts over them! Day after day I would see children slackjawed over the exhibit of toys and box art. Occassionally they would throw temper tantrums because they wanted to play with the toys. Time after time I saw parents explain to their kids that these toys were from their own childhoods and were not available for purchase anymore. The kids would pause, catch their breath, then cry even harder! They were actually hurt by the fact that the toys were now unobtainable. You see, kids today are interested in space travel and going to the moon too. It's just that it's never really presented to them properly. The simple fact that we have gone to the moon and really can do these things is kind of unknown to them. This needs to be rectified. Major Matt's return is long overdue! I loved Major Matt as a kid. I would definately love to see him come back IN HIS ORIGINAL FORM. If you want to introduce additional characters OK, but in the original size/format PLEASE! And all the cool working accessories too, don't forget them. Loved the sled and backpack along with the space station, walker, and unitread. I know PD is probably hoping for a resounding 'YES!' from everyone, but in all honesty there's no chance of me buying any MMM. Way before my time and of zero interest. I would definately be interested in the return on Major Matt Mason! I prefer the 6″ DCU format with plenty of articulation. I would like to see various figures (astronauts & aliens) , friends & foes. Loads of accessories please and vehicles. Oh and a space station/base. Major Matt Mason has a very special place in my heart as one of my absolute favorite childhood toys. I've accumulated a few pieces in recent years and they bring back many fond memories. I think a classic line of original style toys would be essential in re-launching the line after more than 40 years, much as Hasbro did when they brought back the 12-inch GI Joes. But Mattel would also need to address the interestss, desires, and expectations of todays kids. Let's face it. Toy technology has come a long way since 1970. Modern electronics could pack a whole lot more play value into modern day Matts than was even conceived of when the line came out 45 years ago. Compatibility with other similar toy lines would be a good idea, but as one of the major (pun intended) toy manufacturers, Mattel also has the opportunity lead the way and set new standards. It's time for the Major to come out of retirement! ABSOLUTELY!!!!!! I would love to see the toy line brought back! Do I want this new line? Hey wolfie stay of this web page if your not interested which is obvious ,remember Bambi and thumper ,if you can't say anything nice wolfie don't say nothing at all major Matt mason rules . I was born in 1971 and got the remainders of my big brothers' MMM collection and had a blast with them as a kid. Would LOVE to collect the stuff now, but the higher prices keep me from doing it (at the moment, I just collect G.I. Joe AT). If Mattel resurrected the line, staying true to the original design, I'd buy every piece they would release – PERIOD! YES! I would be THRILLED to see Major Matt Mason back on the pegs, and I'd love to be able to buy him again. I would love to see Matt Mason reissued just as they were when i played with them in the 60s. Indeed I would, but I would want if not repros something to go along with the originals. Maybe new accessories and vehicles but with that vintage feel and look. Bring out a number of unmade items for the line such as Or and his Orbitor and the Space Rover as well as items from the Whitman coloring book and the Big Little Book "Moon Mission". Maybe expand the accessories for Scorpio, Callisto and Captain Lazer. If they came out with some 3.75" stuff as long as it was like original MMM and vehicles and accessories scaled to that I'd get it just for kicks. Heaven forbid they do something like the GI Joe Real American Hero garbage (3.75" or 12") or even some junk like the GI Joe Collectors Club coming out with 3.75" AT figures with gawd-awful rehashed RAH vehicle made in AT yellow to try to pawn off on us as AT. Something like that and calling it MMM, I doubt I'd waste my money on. My guess is, if MMM made a return, it'd be some double-jointed, over-muscled-bodied super-hero-looking astronaut in a Mars mission-looking space suit with goofy looking accessories and vehicles. Yes, I would definitely be interested in these. A great point made by Mathew Pak as these would be fairly easy for Mattel to do with the same body in different colors with different head sculpts. I'd too, would like to see them done in the original size format. I was born in 1963, and Major Matt Mason was one of the first action figures that I collected all of the gear and vehicles for. In '63 of course the story was that we'd all be living on the moon some day. Maybe Mattel could update the Major and his team by shooting a little further like making his mission aimed at life on Mars. It wouldn't really matter though, if they'd stayed retro, or modernized him a little, I would no doubt give these figures a serious look. I have been hoping to see a a re-issue of the Major Matt Mason line for years. The original characters and scale would be great. But maybe updated with better joints (the old bending wire would break easily and most of mine soon had broken arms and legs). I think this would be awesome, Mattel! Make them look like real people (real astronauts aren't musclebound bozos like GI Joe), include lady astronauts and tons of accessories and vehicles (using the old razor/vehicle philosophy), make them in the 6 inch size in the original packaging design and color scheme, and have a 12 inch collector line for the collectors. Oh, and no wire bodies, make them articulated so they can better use their accessories and vehicles without breaking in two minutes. Please, Mattel! I would prefer reissues of the vintage line in the classic blister packages and boxes but I would purchase the original characters and equipment in new packaging if Mattel chose to re-issue the Major Matt Mason line. Yes! But keep it to scale with the current releases of Outer Space Men from 4H! This line doesn't need any type of updated look as a 6 inch line or anything like that. But don't try to make a long term line out of this. Make it a line of a handful of great releases and see what happens. THEN if things go well expand. This is a line that, while many people don't have any connection to, it is one of the most legendary toy lines of all time and it deserves some more time in the sun! BRING BACK MATT!! I will buy in any scale. some of our alien friends as well, (just have them coming from other stars rather than Solar System planets modern kids aren't stupid).. I'd love to see MMM in stores again! Bring the Major back!!! I spent many hours playing with Major Mason and Sgt. Storm in all kinds of adventures. Just don’t make them like the originals with cheap wires that break and paint that flakes off. There has never been a toy line that went were MMM did. Even today, with all the technology, MMM was leaps and bounds ahead in design and overall concept. I would love to see MMM come back to the toy shelves. I would also like to see it based on previous and/ or future NASA designs. Of course we need to handle up on some White House cleaning for NASA to get back to doing what they do best! Yeap..all of it. Dedicated MMM fan! I would love to see the return of Matt Mason. Complete with Space Station and Space Crawler. All in original scale. I would buy the line again. Oh yes it’s time mego has rereleased some great figures it’s major Matt masons turn come on Mattel make it happen cheers .thanks to John Easton’s fantastic major Matt mason pages cheers Gary. Absolutely, but they must be in the same scale as the 4H's OSM who were released originally to complement the original MMM. Anything outside this scale will be an absolute bust for these. Plus, it will be cheaper for Mattel to produce and would allow us the possibility of vehicles. As much as I like the larger scale, these have to be done right and done in OSM scale. Absolutely bring them back and the vehicles and accessories. I'd much rather see them in the original scale with original style packaging. I think the OSM scale would make it difficult to implement a lot of the working MMM accessories. I would love to see him in all his original glry!!! Yes please bring him back would love to see a reissue of the classic line and vehicles , I would go mad and suppport it by purchacing every thing which is released ! Add me to the list of those who want them, but only if they are compatible with The Outer Space Men. That is an absolute must. I would love to see these remade the same as they originaly were. The sled, crawler, station and moon suit were great and I would buy them all. I see in the reponses on this blog that, while plenty of people want them to bring back Matt Mason, there seems to be a fairly even split over whether or not to bring him back as he was in the 1960s or to shrink him down to 3 3/4" size to match the current run of Outer Space Men figures. Personally, I only want him if he's a proper repro. If they mess up the scale, I won't be buying, just like I refuse to buy the miniturized Outer Space Men. What I'd really like to see happen is for Matt Mason return as he once was, and for the Four Horsemen to get the stick out of their collective behinds and give us a proper reproduction of the Outer Space Men! Honestly, though, I have doubts that Matt Mason — in any form — would do well in a general retail market these days. But if Mattel focused the line as a Matty Collector exclusive (As they have done with Master of the Universe, Ghostbusters, Voltron, and parts of the DC Universe lines), they'd probably have a winner. wow. Pretty ill informed, much? The 4H dont have a "stick" to remove. Remember, the OSM are a licensed property. The 4H have to do as the property holder instructs. In this case, Mel Birnkrant is the property holder and dictated the way he wants -his- OSM to be released. This is how he wanted them done. Also, pretty sure they don't have $300,000 lying around to burn on 8" figures as its generally $10-$20k for a fully tooled new figure. A little fact checking wouldnt hurt next time. i would love to see Major Matt Mason make a come back. Bring him back, Mattel!! Any news on major Matt mason movie ? I'm sure lots of the younger kids would get into major Matt mason figures etc after seeing a movie on the major on the moon ,any news Mattel ? All the best Gary. I hit on a great flea market find in 87 where I got the moonbase, lunar rover and a few figures and spacesleds for ONE BUCK (in the moonbase box!) but several years later my roommate's friend decided to take a gray spray paint can to the whole display … serious tragedy! I've been very high on the movie for forever, mainly because I was hoping they'd do something very avant garde with it (have had a MMM twisting-reality storyline for years now that would make YESTERDAY'S ENTERPRISE seem tame), but the fact they're just doing a riff on Clarke's A FALL OF MOONDUST or one of Bova's Chet Kinsman stories is a serious disappointment to me. I would love to see a one-off Matty exclusive 3.75" Matt Mason done by the 4H (compatible with the Outer Space Men of course)! Please bring Matt, Captain Laser, Mephisto, and all the great vehicles they used, BACK! I don't care what form, just do it. An 18 inch updated Captain Laser would be a jewel on the shelf! It's pretty great seeing MMM getting such an overwhelmingly positive response here! A month later and comments are still comign in on this subject! Fantastic! I've been passing this off to Mattel, so they see all of these comments. As I said before, I can't guarantee that they will defiitely do something with the license, but it certainly doesn't hurt to keep showing them that we care! 😀 So you guys keep posting, and i'll keep passing to Mattel! it would be a great tribute to Neil Armstrong if they named a new character after him. Now that NASA and JPL have sent another Rover to Mars this is the perfect time to bring back the series in the exact same scale and same accessories, and maybe capture the imagination of children again. Although I loved this line of toys as a child, I feel it might not translate well on the one hand, and fear that my cherished childhood memories will be trammeled by another over-glossed Hollywood dud. Yes, by all means YES. There is far too much crap and not enough toys that have history and good, honest play value. MMM was always about the wonder of exploration as well as the dangers. Most of the line was based on NASA concepts and I think that's where it's strength will lay. If MATTEL can come up with an Lunar Lander and Command Capsule w/Service module, I think it would serve them and many generations well. Im tired of seeing Ninjas and Jedis and whatnot, get back to MMM. Hell, you could even have him explore MARS! Bring back the classic line and also do a 3 3/4 inch line. I WILL BUY BOTH! A huge MMM fan and collector here. While i'd of course love to see a new line based on the vintage figures, I'd also love to see a 12" version – sort of like G.I. Joe in a Matt Mason suit. It'd be great to have the backpack and some of the other gear scaled up in size. YES, PLEASE, bring MMM back in its original size. Maybe instead of the wire skeleton, a different, more durable skeleton should be used. And maybe there are some safety standards which have to be followed today. It doesn't matter as long as the figures remain in the 6 inch scale and look like the original figures looked. I also think, that an additional 3 3/4 toy line would be great, but I mean additional. Yes, bring the line back. There is nothing but garbage out there in the toy aisle, its time to get back into adventure in space and the wonderment of that last frontier. Honestly, I think Mattel, you could do both scales, the classic bendy figure and the 3 3/4 inch line with vehicles to go with. If you really want to push it, you could do a WALMART exclusive ultimate MMM 6 inch figure that could be re done in all 5 colors==white, silver, red, blue, and yellow. I would sooo be on board. At the 3 3/4 scale, they not only would be SW and GIJ combatable but also OSM and every other small scale. Now that the Tom Hanks MMM movie is picking up a little steam, I have been surfing for info on a re-issued toy line. I keep landing here. I’m 50, and of course, a big MMM fan when I was a kid, and collector since my mid-30’s… Like most others here, I’d LOVE to see a faithful recreation of the line by Mattel… However, I must admit, I would not be interested in any size- altered Matt, or one that was “modernized” and/ or updated (as Joe King wanted to do about 15 years ago… Keep it “real”, Mattel! 😉 ‘Just my 2 cents.. Yes, I would love to see mostly a re-issue of the classics including some of the accessories ….. and maybe some to go with the movie. ……. if done right this could be good…. there are an awful lot of us boomers out there that had and lived this toy and would love to hold one again. …..vintage design I might add…. I am a french collector and I say LET'S BRING HIM BACK. no matter what size (3,75, 6 or in between) but we need Matt Mason to come back ! success as my children and grandchildren love playing with the few items I have managed to collect. A reasonably priced line would also put am end to the greed in the market one encounters when trying to purchase these toys. I would support this venture wholeheartedly. Yes, bring it back. Original 6" size. Everyone had one that was my age as a kid- boys that is… The only toy that I can recall that everyone brought to school. Space program was huge in those days.. Yes, I would like a comeback. The 6 inch size is preferred but 3.75 inch is ok. Please make the products affordable for the younger generation . It was a major blunder for Mattel to take this popular toy off the market.